Use this size to make 1-1/2in finished size half square triangles. 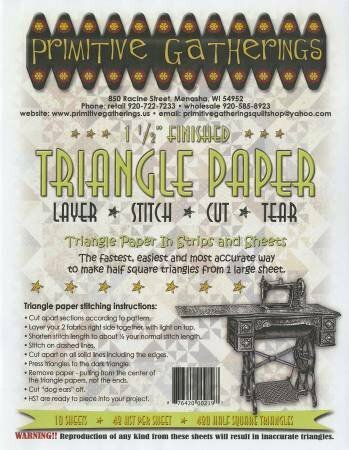 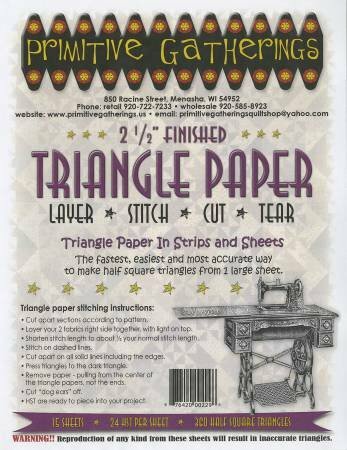 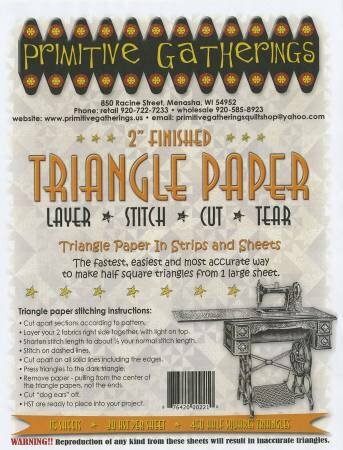 The triangle papers in this package are the fastest, easiest and most accurate way to make half square triangles from one large sheet. 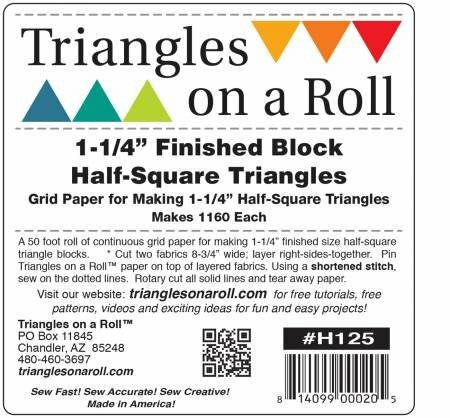 There are 13 sheets, with 36HST per sheet, and will make a total of 468 half square triangles. 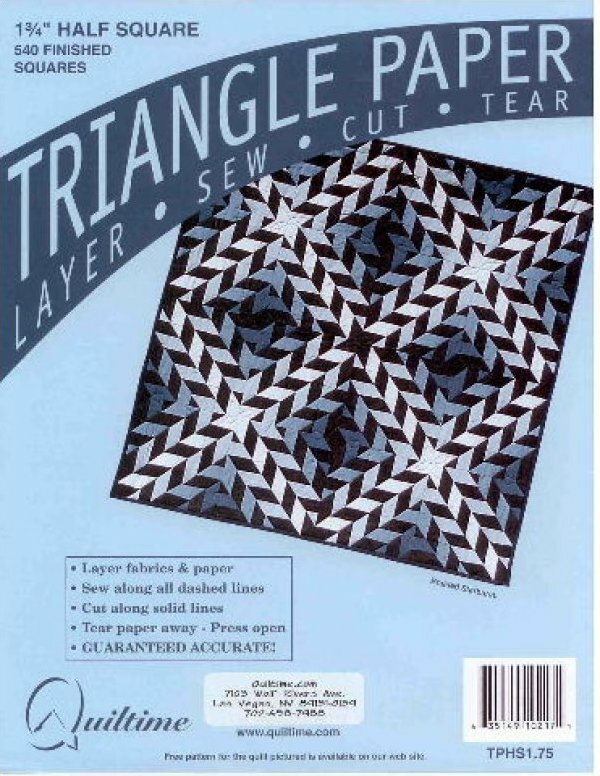 Make half square triangles for your quilts the quick and easy way. 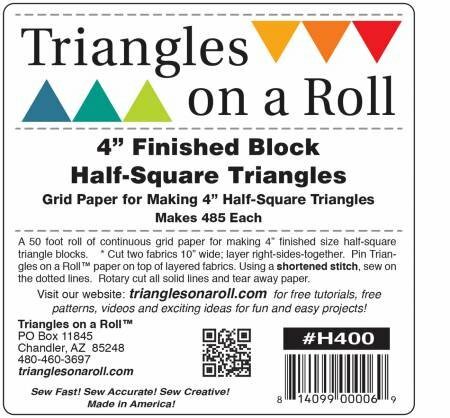 This package makes 540 half square triangle units. 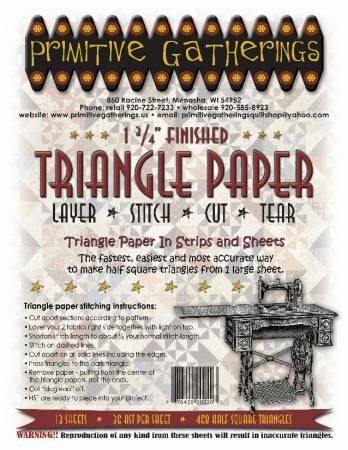 Triangle paper in strips and sheets. This is the easiest, fastest, and most accurate way to make half square triangles from one large sheet. You will get in this package 15 sheets with 30 HST per sheet, and will make a total of 450 half square triangles. 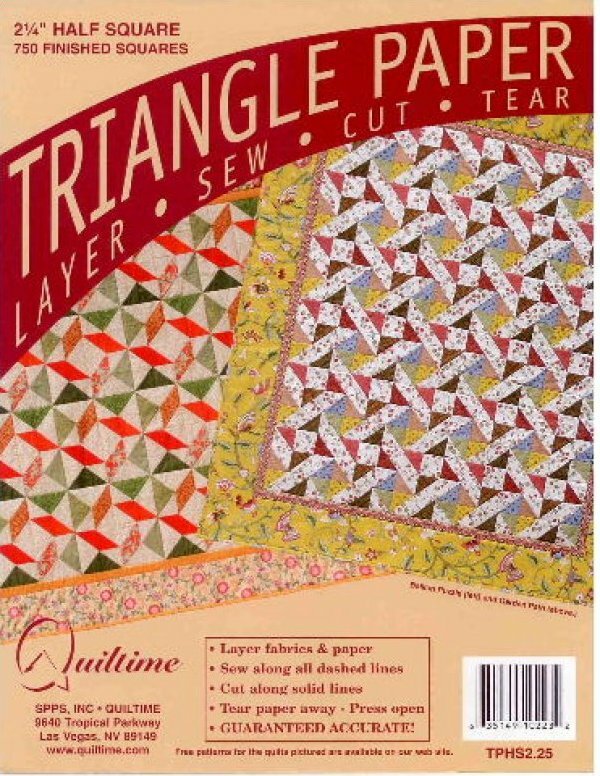 Make half square triangles for your quilts the quick and easy way. This package makes 750 half square triangle units.